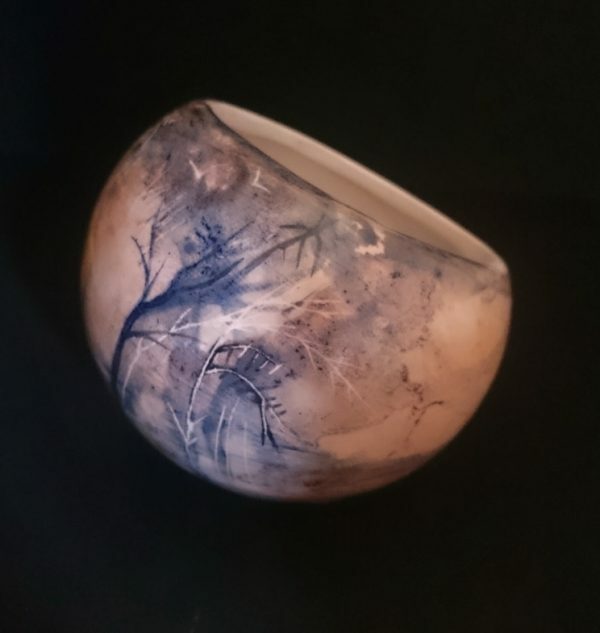 I use slip casting and hand building techniques to create intimately sized ceramics of delicate simplicity. Each piece is bisque-fired then carefully hand-painted with ceramic glazes and engobes before a final firing. My aim is to bring the painterly touch of the brush to the quiet stillness of clay. Inspired by the loose and succinct quality of Chinese painting, as well as by my wild North Pennine surroundings. The end result lies somewhere between figurative detail and abstraction.